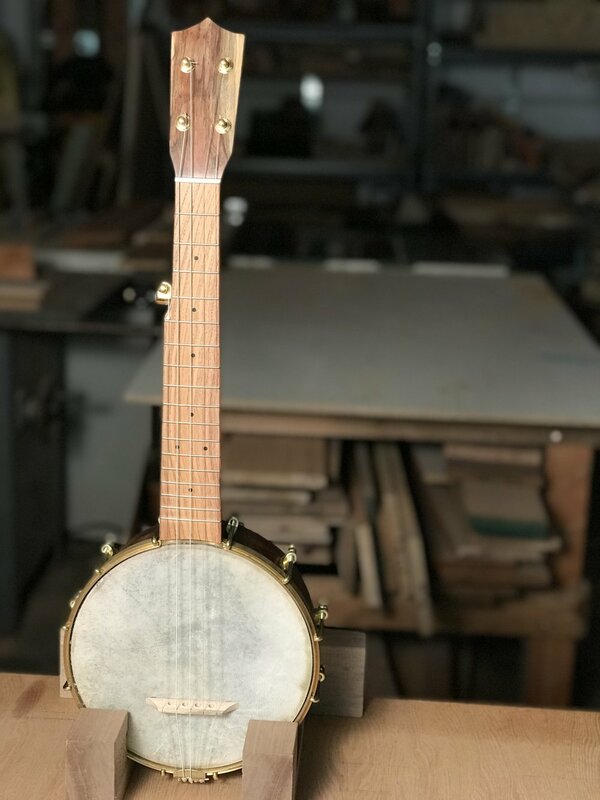 Normally we have been shipping these mini five string banjo tuned to open C, but this one is strung and tuned lower to open G, like a standard five string banjo. It has a nice mellow sound that is comfortable to play and I'm quite pleased with it. The goat skin head both looks and sounds great on this one, I love the variable appearance and texture these heads have. The curly walnut comes from Goby Walnut in Portland and the pistachio is from California Orchards.